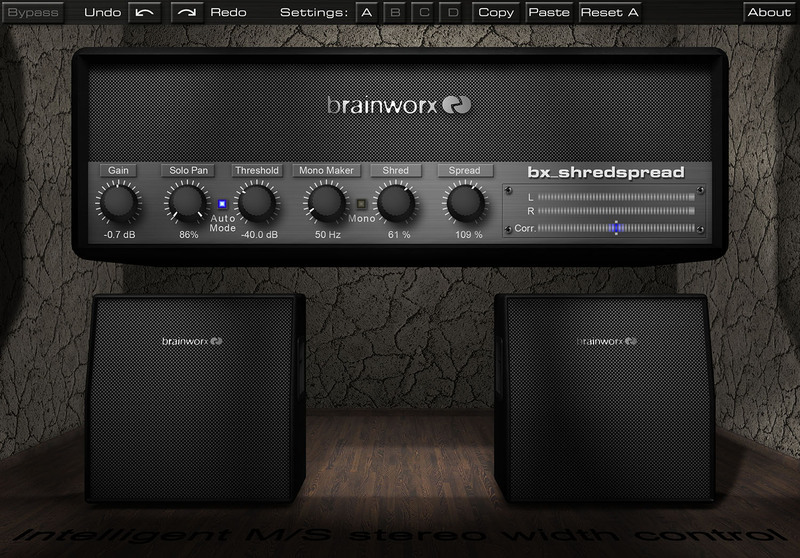 Brainworx bx_shredspread by Plugin Alliance is a Virtual Effect Audio Plugin. It functions as a VST Plugin, an Audio Units Plugin, a VST 3 Plugin, an RTAS Plugin and an AAX Plugin. Intelligent M/S Width - avoiding common technical problems automatically! bx_shredspread is a stereo processor to be used on any stereo guitar subgroup or stereo guitar channels. bx_shredspread's main purpose is to make sure your stereo ("doubled") guitar signals sound "wide and phatt" - as easy and fast as possible. 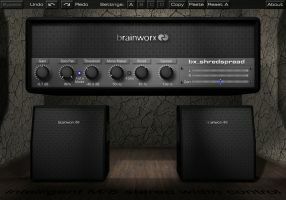 Stereo-guitars that have been created by recording several mono tracks (aka "doubled" guitars) will benefit best from the auto-correcting features and the "SHRED-filter", but bx_shredspread will work on conventional stereo guitar sounds and stereo samples as well, of course. Although mainly created for guitars bx_shredspread may also be used on keyboard groups, organs, choirs, etc. bx_shredspread is a tool to control panning, stereo width and the "tone" of your stereo guitar tracks / groups. 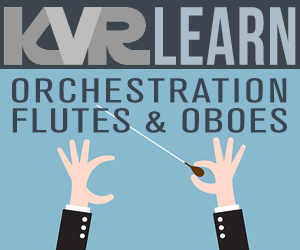 It automatically avoids typical phase problems that can occur when using M/S technology via some sophisticated algorithms for stereo width, EQ and pan.